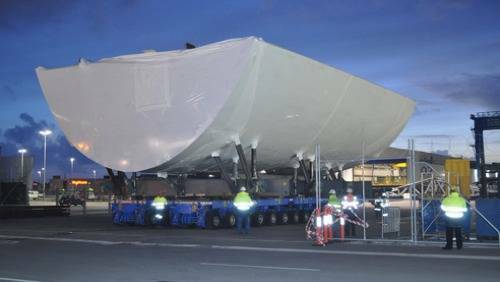 A further two Air Warfare Destroyer (AWD) blocks manufactured by BAE Systems in Williamstown have been shipped to Adelaide. The final blocks make nine altogether since the first block was delivered in August 2011. With this shipment, BAE Systems has completed work on all AWD Ship 1 and Ship 2 blocks that they have been contracted to complete. Block 415 is a hull block and weighs 117 tonnes. Block 111 is a keel block weighing 112 tonnes.